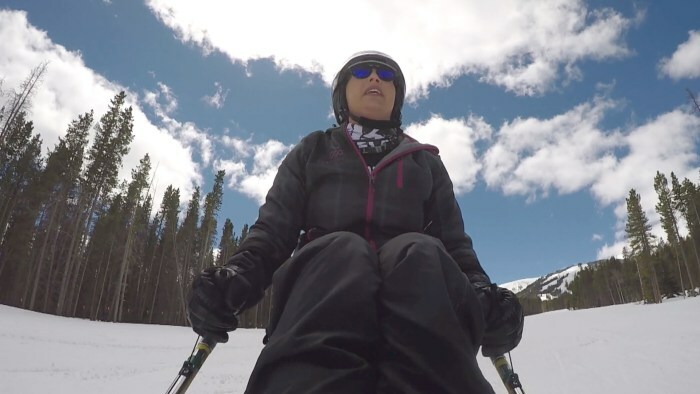 Olympic swimming gold medalist Amy Van Dyken-Rouen has got herself a new ride: An adaptive ski that allows the paralyzed athlete to charge downhill. 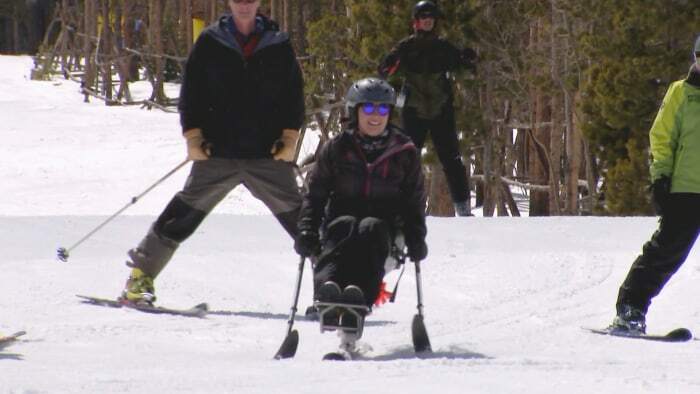 “I had dreams about this!” she told TODAY while gliding downhill on the slopes of Colorado’s Breckenridge Education Center. Taking on the sport marks another milestone for Van Dyken-Rouen, who was left paralyzed from the waist down after a 2014 ATV accident severed her spine. Despite her injuries, she emerged from the accident, and numerous surgeries, with the same spirit that helped her earn six Olympic gold medals in Atlanta and Sydney. She’s surpassed the expectations of doctors, feeling reflexes in her knees and ankles and even walking with the help of an exo-skeleton. Now, she’s taken on a new challenge: downhill skiing. “It’s like freedom. A lot of people who are injured say that getting in the swimming pool is liberating and free for them. For me, that’s where I feel the most paralyzed,” she said. Amy’s husband, Tom Rouen, said skiing allows his wife to help fulfill the competitive fire that continues to burn inside of her. 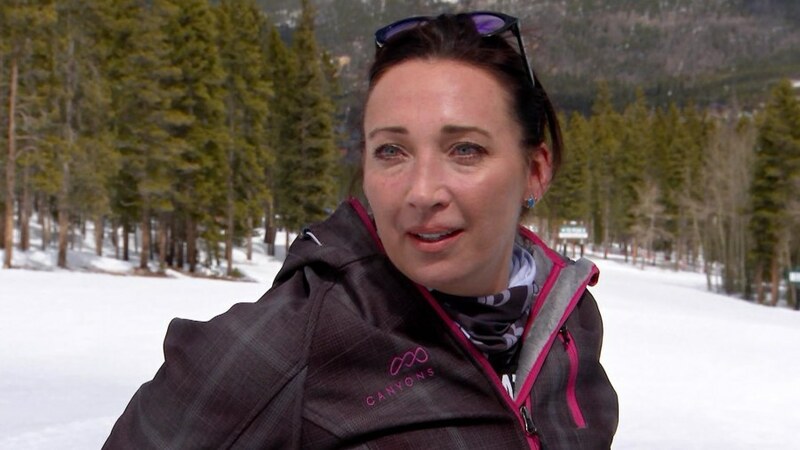 Amy Van Dyken-Rouen said she’s had dreams about downhill skiing. Van Dyken-Rouen has not only served as an inspiration in her own recovery, but to others through Amy’s Army, the foundation she and her husband created to help others with spinal cord injuries. She hopes to show by example that even a severed spine can’t take away the thrill of speeding downhill. She said it’s a feeling she’s chased ever since her accident. “You know, when they say, ‘You’ll never be able?’ No. That’s again a hurdle or a wall that you’re going to either go over or around or break under it or do whatever to get through it,” she said. Why Do Women Outnumber Men in College? It is fairly well known that women today outnumber men in American colleges. In 2003, there were 1.35 females for every male who graduated from a four-year college and 1.3 females for every male undergraduate. That contrasts with 1960, when there were 1.6 males for every female graduating from a U.S. four-year college and 1.55 males for every female undergraduate. How come this switch? In The Homecoming of American College Women: The Reversal of the College Gender Gap (NBER Working Paper No. 12139), authors Claudia Goldin, Lawrence Katz, and Ilyana Kuziemko offer some explanations for the change. In the post-World War II era, they note, the financial return to women of higher education greatly increased. At first, from the late 1950s to the early 1970s, women tended to pursue female-intensive occupations such as teaching and social work after graduation. So, they majored in education, English, and literature, perhaps, and they often aimed at finding suitable mates in college. Indeed, these female college graduates had a high fertility rate after marriage, being the mothers of the Baby Boom generation. In 1960, the labor force participation of female college graduates in their twenties and thirties was low: only 39 percent of 30-to-34-year olds were employed and 47 percent of those employed were teachers; 73 percent had children at home. A decade later, only 49 percent of the 1970 graduates were employed at ages 30 to 34, and 55 percent of those with jobs were teachers. But beginning in the late 1960s and early 1970s, young women’s expectations of their future labor force participation changed radically. Rather than follow in their mothers’ footsteps, they aimed to have careers, not just jobs. These careers were often outside of the traditionally female occupations for women. In high school, they took more science and math courses. As a result, their twelfth grade math and reading test scores increased relative to those of boys. For the college graduates of 1980, when they reached 30-to-34 years of age, 70 percent were employed, only 36 percent of those employed were teachers, and 60 percent had children at home. The authors figure that about 30 to 60 percent of the increase in the female-to-male ratios of college graduates from the 1970s to the 1990s can be explained by these changes. Another relevant factor in the gender shift, the age of female college graduates’ first marriage, increased by about 2.5 years in the 1970s. Whereas from the 1950s to the early 1970s women had tended to marry a little more than a year after graduation, by 1981 the median age of marriage for college-educated women was 25. This delay allowed many women to be more serious students and less concerned about securing a husband while pursuing an undergraduate degree. Adding to the possibility of a greater investment in professional careers was the availability of the contraceptive “pill.” Women could better plan their futures. With a resurgence of feminism, young women also felt more empowered. They had greater guarantees by the government that job discrimination by employers against women would not be tolerated. They anticipated a more even playing field with respect to men in terms of access to high-paying careers for college graduates and to professional and graduate college programs, the authors note. Since 1980, the wage premium for a college degree has risen, especially for women. Over a lifetime, many women have taken time out from work to look after their children full time. But more recently, their participation in the labor force has begun to resemble that of men. “The jury is still out concerning whether the full lifetime economic returns to college are greater for women than for men,” the authors write. One sign of rising expectations by women is shown in the fact that women earned 45.1 percent of bachelor’s degrees in business in 1984-5 and 50 percent by 2001-2, up from only 9.1 percent in 1970-1. Similar large increases in the female share of BAs also have occurred in the life sciences, physical sciences, and engineering since the early 1970s. It also could be that the rise in divorce rates since the 1960s and women’s greater responsibility for children have prompted women to see an investment in college as an insurance policy for their future financial lives. Another aspect in the reversal of the college gender gap, rather than just its elimination, is the persistence of behavioral and developmental differences between males and females. Boys often mature more slowly than girls. In grades K-12, boys tend to have a higher incidence of behavioral problems (or lower level of non-cognitive skills) than girls. Girls spend more time doing homework than boys. These behavioral factors, after adjusting for family background, test scores, and high school achievement, can explain virtually the entire female advantage in getting into college for the high school graduating class of 1992, the authors figure. It allowed “girls to leapfrog over boys in the race to college.” Similarly, teenage boys, both in the early 1980s and late 1990s, had a higher (self-reported) incidence of arrests and school suspensions than teenage girls. The “homecoming” in the authors’ title to their paper refers to the fact that by 1980 the gender balance in college had returned to its pre-1930 level in the United States, although the levels of college attendance were almost six times higher in 1980 than in the 1920s for both men and women. The number of male-to-female undergraduates was about at parity from 1900 to 1930. Many females were attending teacher-training colleges in those days. The highpoint of gender imbalance in college attendance was reached in 1947, after the return of men from World War II then eligible for educational subsidies through the GI bills, when undergraduate men outnumbered women 2.3 to 1. Women’s relative numbers in college have increased ever since the 1950s, with a pause when many men went to college to avoid serving in the Vietnam War. The decline in the male-to-female ratios of undergraduates in the past 35 years is real, and not primarily due to changes in the ethnic mix of the college-aged population or to the types of post-secondary institutions they attend, the authors assert. The female share of college students has expanded in all 17 member-nations of the Organization for Economic Cooperation and Development in recent decades, so much so that women now outnumber men in college in almost all rich nations.